​You should demand more from your money! Another option for investors is fund investing which still is a pooling of capital from many investors. The difference between the Fund and a fractionalized investment is there is a Fund manager who makes decisions about the properties involved. In addition, it also solves one of the problems of individual investments: Diversity. Multiple investors can purchase shares on multiple notes which diversify not only risk but also reward. Interest earnings in this case are credited to the fund and each investor is credited with their proportionate share which may be reinvested or paid out as per the investor’s instructions. Investors never have to worry about coming up with liquid cash to purchase new notes, or dealing with properties that are in default since a fund manager deals with all of these issues. Additionally, an investor never has to worry about buying a single note on their own. The best part about investing in a fund is investors can participate with a smaller amount of funds, still get the diversity they demand and still have the ability to have some amount of liquidity. Investing through retirement accounts including pension plans, 401ks and trust funds is also easier when you are dealing with a fund versus individual notes. * Fill in the form and our representative will contact you within the next 48 hours. ​Investing with PAC brings you exceptional opportunities for profits without headaches! ​Contact us now to ensure your bright future! 1. Escrow accounts are utilized for 3rd level transactions. 2. 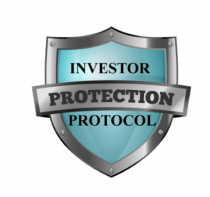 All withdrawals, such as mortgage pool acquisitions, must be approved by PAC after our proven, proprietary due diligence process is performed. 3. All Assets are titled to the current Offering entity. 4. Original loan files are stored in a secured location. 5. Servicing is handled by a licensed agent, which collects payments, and provides customer support to borrowers. ​6. Annual account statements are distributed to Investors.